Take on the open road. Discover misty seaports and mining legends. Dance with the daisies. Feast with the First People. Shield your eyes and get out into the vast desert sands. The Northern Cape has much to offer travellers. This is about one of the most unique experiences - a 4x4 Shipwreck Trail on the Diamond Coast. Through the years, the stormy Atlantic Ocean has often been an obstacle, preventing many ocean-going vessels from completing their voyages and sending them to a watery grave on the coastline between the Koingnaas and Kleinzee. The intriguing and in some ways, mysterious, Shipwreck Trail hugs the Diamond Coast for approximately 37 kilometres and is a challenge to navigate being both rocky and sandy. The factual history of these shipwrecks has often been enriched by the whispers and speculations of local folklore. Where: Noup. The location is quietly tucked between the mining towns of Kleinzee and Koingnaas, about 140 kilometres from Alexander Bay and 100 kilometres west of Springbok. How to book: Call +27 79 877 8859 or follow this link. Rates and accommodation: High (Flower) Season Rates - 2 Sleeper - R1 680. 4 Sleeper - R1 820. 6 Sleeper R2 040. Find out more here. 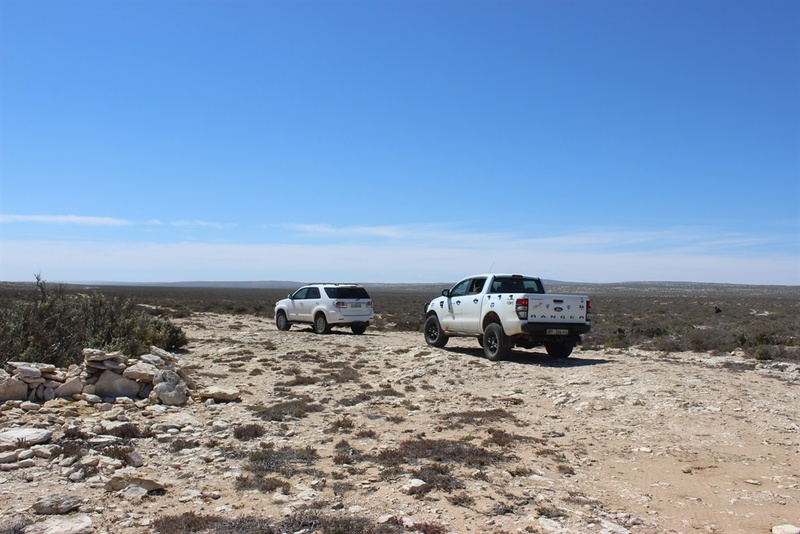 Trails: Guided 4x4 Shipwreck Trail tours cost R250 per person. Find out more here. Additional information: Follow this link. The story of the Piratiny harks back to the June of 1943. Inclement, tempestuous weather caused the Piratiny to run aground on the rocky coast at Schulp Point, 32 kilometres north of Hondeklipbaai. Ironically, the 22-year old steamship was on her final voyage from Brazil to Cape Town carrying general cargo. It ended up being her final voyage, but not in the way the captain and crew probably expected. Fortunately, all on board the 5000-ton vessel got off safely in boats and beached in a sheltered bay. While salvage operations were carried out, the ship slowly broke up due to persistent heavy seas. Weeks later, a heavy storm raged through the area and left the beach covered with wreckage, silks and a variety of other cargoes. The locals, not missing a beat, readily helped themselves to the fabrics, dress materials and whatever else seemed to be of use. At the very next nagmaal (communion service), scores of churchgoers were 'coincidentally' decked out in brand new garments and outfits. The congregation was filled with very spiffy-looking people that day. Local legend has it that the Piratiny was hit by a Nazi torpedo. The chronology, with the ship going down in 1943, makes this entirely plausible. The wild and rocky coastline of Namaqualand is the grave of many a ship that lost her way on a foggy night or was crushed by unforgiving seas. Some of these vessels are still available to see. The relics of their sea-scarred hulls are tombstones to their fate; once proud vessels that at one time plied their trade along these shores are now home to limpets, anemones and nests for seabirds. The above vessel was used as a fishing vessel, catching a variety of marine life and supplying the local areas with their wares. The cold waters of the Benguela current were the centre of South Africa's burgeoning fishing industry making this area an understandably suitable location. Legend has it that after a long, but successful, day spent fishing, the crew of this ship went onshore only for a major storm to thrash the waters and send this vessel crashing into the shore where it rests to this day. An interesting piece of local information about this ship is that it is rumoured that this vessel would also moonlight as a transport for marijuana. The marijuana would supply diamond miners and prospectors who spent their days labouring underground and their nights with their heads in the clouds. During 1926, Johan Kotze, a farmer built 'die Kliphuis' on the farm Zwart Duine. After his death in 1933, the Aggenbach family, also farmers took over the occupation of the homestead. Mr Aggenbach treated his flocks of sheep and goats with a dip that contained trace amounts of arsenic. The livestock were able to withstand the toxic chemical, but unfortunately, two of the Aggenbach daughters fell ill and one died on their way to the hospital in Springbok some 120 kilometres away. The family stayed on until 1976 and since then Die Kliphuis has remained vacant. It may not be very easy to spot in the above photograph but if you look closely at the centre of the frame, a clearly identifiable man-made object escapes the water, offering visitors to the Shipwreck Trail another glimpse into the maritime history of the area. The Dunblane was wrecked off Swartduine, between Hondeklipbaai and Kleinzee in 1953. This wreck is only visible in low tides. On Tuesday, 1 April 1947, this 285-ton British motor coaster ran aground in dense fog at high tide at Naas Point South of Kleinzee. The 20-year old ship, previously named the Albion lost her rudder and damaged her propeller. All aboard reached the safety of the shoreline by means of a lifeline to the beach. The vessel had been on its way to Port Nolloth from Cape Town. The Border carried a 200-ton cargo destined for the Namaqualand copper mines consisting of petrol, explosives and other general cargo. Teams of donkeys were used to transport her cargo across the sand dunes to the nearest road approximately 2 kilometres away. Attempts to salvage her unfortunately failed and the sea soon lifted her onto the beach where she slowly degenerated into the rusty hull seen in the above picture. Dramatic, idyllic and rustic, Noup and the Diamond Coast will capture your heart in ways you'd not expect. Steeped in history and soaked in promise, make sure you make your way to this unique South African destination.